ZIBO Zhaolin Industry and Trade Co., Ltd is one of the leading 11t american type trailer axle manufacturers, welcome to wholesale low price and quality, and 11 ton fuwa axle for sale from our factory. Posted By: ZIBO ZHAOLIN INDUSTRY AND TRADE CO.,LTD. / ZIBO FLARE STAR CO.,LTD. Business Description: Zibo Zhaolin Industry and Trade Co., Ltd. is located at the famous town of forging-Kunlun Town in Zichuan District. Adjoining Jiaoji Railway, National Highway 309 and Jinan-Qingdao Expressway, only 270km away from Port of Qingdao, it's conveniently accessible by marine, land or air transportation. 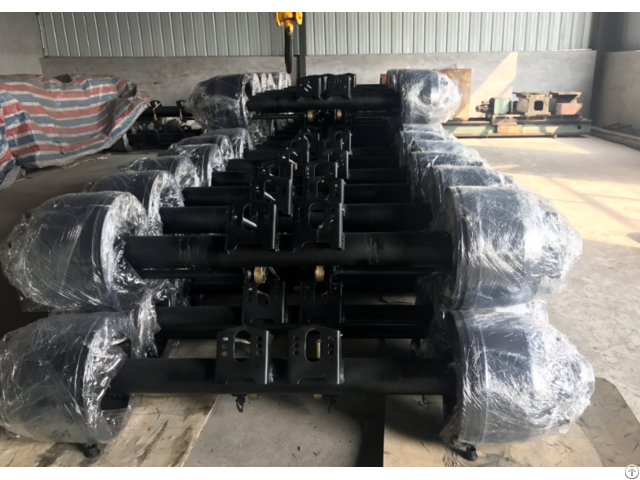 Depending on advantageous resources, the company has developed into one of professional and large-scale trailer axle production bases in China by long-term practices in the spirit of “Dedicated, Practical, Innovative,Efficient”. After its successful reform from a collectively-owned enterprise in 2005, the company has invested RMB 20 million to introduce two sets of complete axle tube production line as well as all kinds of forging and stamping equipment. Now, the company is staffed with over 180 people including 18 professionals, and establishes a Thermal Treatment Center. The company is capable of stamping and precision casting, can process all kinds of mechanical components, or customize products as customers require. At present, the company can yield 50,000 sets of axles and 350,000 brake camshafts annually, and products cover domestic and foreign markets, gaining recognition and support from customers.